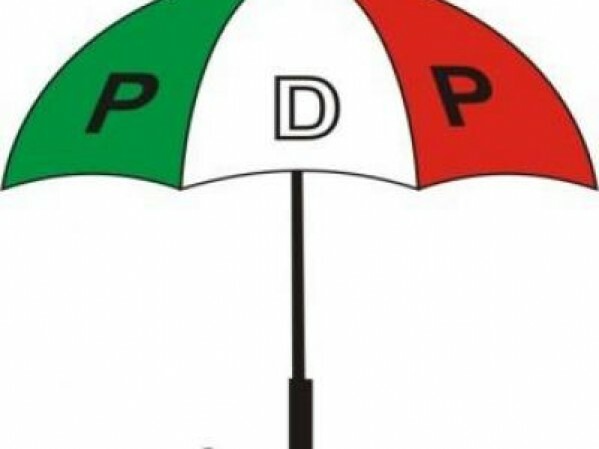 The Kwara State chapter of the Peoples Democratic Party (PDP) saturday threatened to defect if the PDP National Working Committee (NWC) eventually handed over the chapter to the reformed All Progressives Congress(rAPC) as being speculated. The state's former PDP Chairman, Alhaji Kunle Sulyman and other party leaders disclosed this at a news conference they addressed in Ilorin saturday, warning the PDP National Chairman, Chief Uche Secondus against handing over the leadership of the chapter to the rAPC leaders. The rAPC leaders in the state are being led by the Senate President, Dr. Bukola Saraki, the state governor, Mr. Abdulfatah Ahmed, Alhaji Abubakar Kawu Baraje, Sen. Shaaba Lafiaji and Sen. Rafiu Ibrahim among others. Sulyman said: "I want to say that the PDP should be careful on this move because this may have a serious effect on the future of the party in the country." Sulyman explained that Kwara PDP "is formidable to win any elections in the state. We do not need any groups of people that will destabilise our unity of purpose." �However, if the NWC decides to allow the rAPC leaders in Kwara State to take over the PDP, we will have no other way than to move our structures to another party that we will work with during the next year general elections. Also at the conference, the PDP Chairman in Ilorin West Local Government Area, Alhaji Abubakar Sulaimon said the national leadership of the PDP should be wary of the antics of the rAPC leaders, who dumped it for the APC in 2014. According to him, the PDP in Kwara State possesses standard structure that no one can withstand. This will be showed to the people of the state and the nation in particular during the forthcoming general elections. Without the leaders of rAPC and their members, Sulaimon said the PDP "can win convincingly. This was showed during the November 17, 2017 local government council election in Kwara where the PDP had a landslide electoral victory. "Also in the Ajikobi ward of Ilorin West Local Government Area, the PDP polled 3,302 votes against 3,158 polled by the ruling APC in the state." The last council election has degraded the ruling APC because the party was tactically defeated. "That is why when it was rumoured that unless and until the leaders of rAPC cross to PDP, the PDP cannot win and deliver Kwara state, we, the present leaders of PDP in the state, see this statement as travesty. "The PDP in the state has gone far and will not allow any group of persons to hijack the party from us because the party now has a structure that will witness a test of time in the winning of any elections in Kwara state. "We want to assure our national leadership that we shall win landslide in 2019 and deliver the state to PDP without the assistance of rAPC leaders in the state because we did on November 17, 2017 during the last local government council election. We will do it again." He warned the PDP national leadership �to desist from handing over the chapter to the rAPC leaders. The leaders and members of Kwara PDP would hesitate to leave the party if the rAPC decided to join PDP in the state. We will move our structure to the new party." He urged the party members "to be alert on the move of rAPC leaders to cross to the party. We will all move to another party if the plan eventually materialises."